We are knee-deep into potty training Ethan. During the day he goes to the bathroom about 95% of the time. The other times are when his schedule has changed or he’s constipated and worried it will hurt when he goes. So he runs into his room and does it in his underwear. Sorry if that’s TMI. But I figured I could talk about it here. 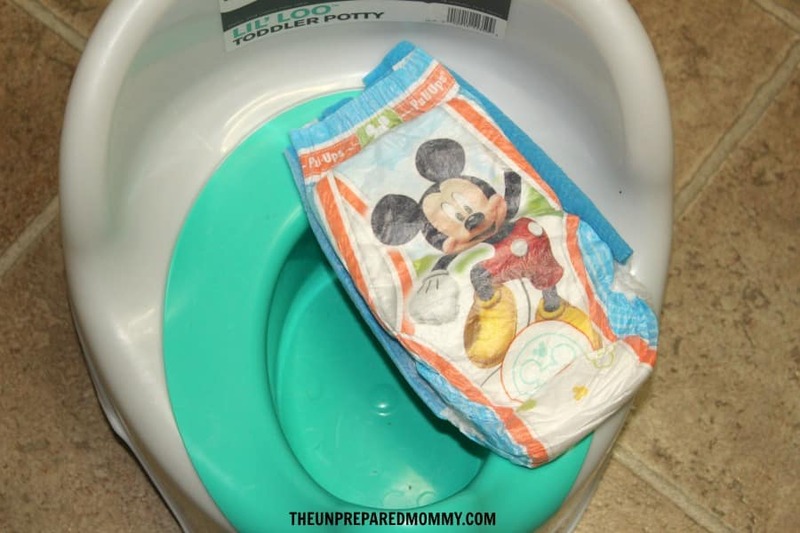 Now that we have that under our belts (pun intended), we are switching gears to tackle nighttime potty training. The other beast. In doing some research, I found 5 things in common to help the process along. Nothing is going to speed it up, especially if your child isn’t ready to transition, but you’ll understand what I mean after you read them. If they drink less, they pee less. Simple math. Of course I am not suggesting you withhold a drink from your thirsty child, but just try to limit how much they drink as they get closer to sleep. As children move around a lot and get excited, they tend to produce more urine. Okay, so that probably applies to adults as well, but we can at least hold it overnight (right?). Reading books is a great way to calm them down before bed, or doing a puzzle. Get them into a routine of at least sitting on the potty chair/toilet right before going to sleep. They might not think they have to go, but 9 times out of 10, they will do something. 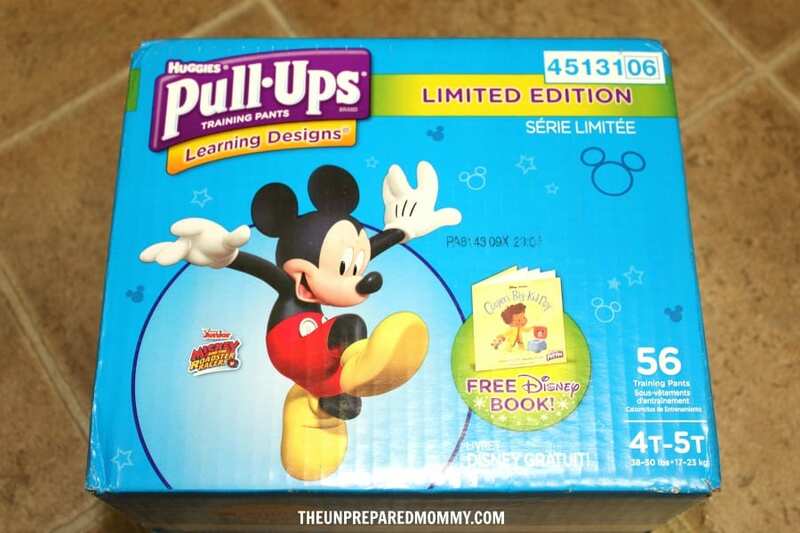 We have been using Pull-Ups with Ethan for nighttime potty training. They go on just like real underwear to encourage him to not pee overnight. We haven’t made it to that point yet, but we are going at his pace and not pressuring him. I am glad that they are super absorbent, but don’t always absorb everything if he were to pee upside down (ask me how I know). When you are first starting out, they will not be able to hold their pee for that many hours overnight. Keep a potty chair by their bed so if they wake up before they have to go, they aren’t running to the bathroom hoping to make it there in time. If they aren’t waking by themselves, a few hours after they have gone to sleep, wake them just a bit and put them on the potty. 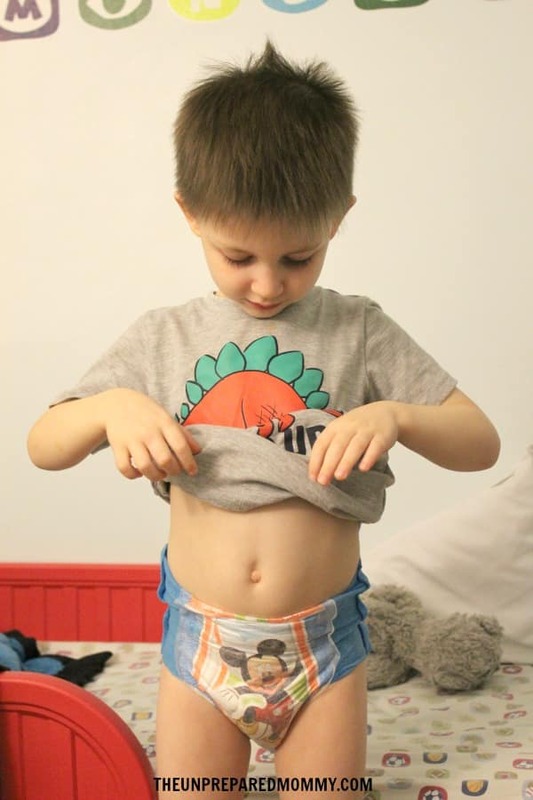 As they get older, they will be able to hold it longer and then you can switch from Pull-Ups to underwear after they have had several dry nights in a row. So there you have it. These are just a few of the ways to help, but they will definitely get you on the right track. Limit how much they drink around bedtime, have they go to the bathroom right before bed, keep them calm and read a book, use Pull-Ups, and keep a potty seat by the bed. If you have any questions, feel free to leave me a comment or send me an email.